Are you feeling the back-to-school budget burn? RBC Rewards may be able to help! It seems as our children level up in school, the list of things they need (and want) seems to level up too! From the latest kicks and fashion to all the binders, stacks of paper, and maybe even some big-ticket items like a laptop, they just have to have it all. I know all about the growing costs to send kids to school. I have one off to senior kindergarten, another to grade 8, and the oldest is entering grade 11. 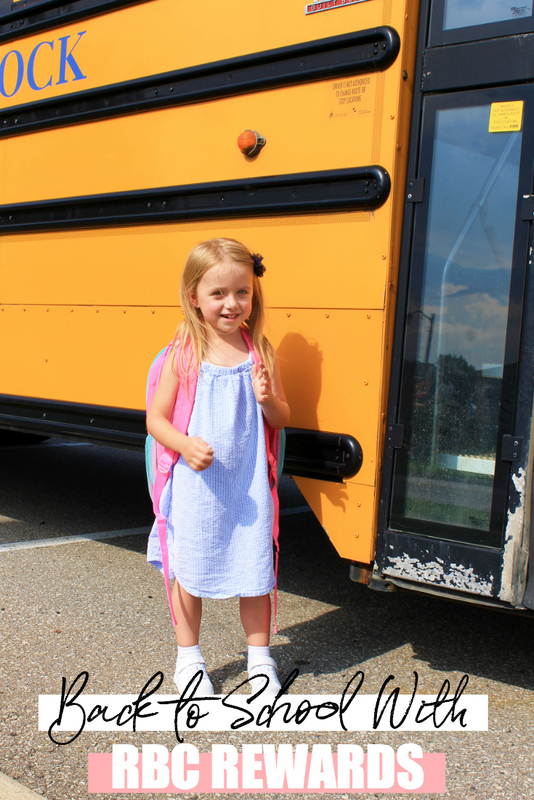 Bella happens to be the cheapest for back-to-school as kindergarten doesn’t require much other than a backpack, lunch gear, and a pair of indoor only shoes. 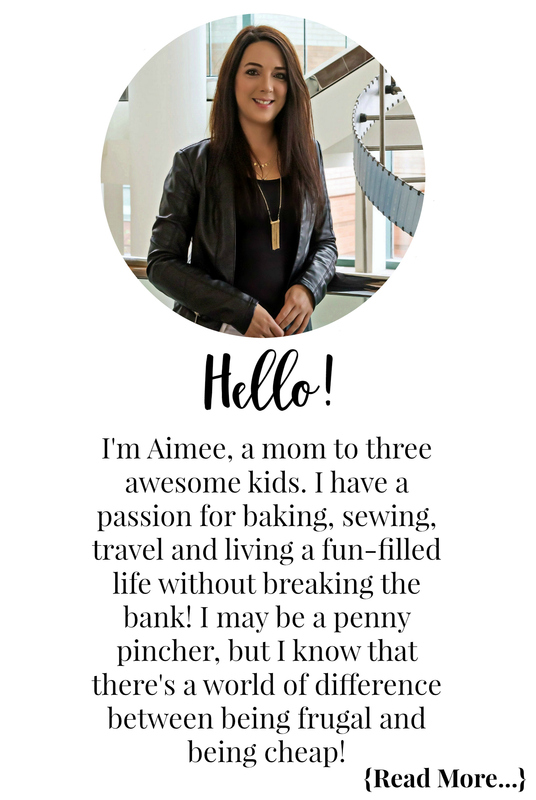 The older girls require (and request) much more for back-to-school, and if it wasn’t for my money-saving addiction, I would probably bust my budget and my wallet! One of my favourite ways to stay on top of my back-to-school budget is by reaping the benefits of being an RBC Rewards member. RBC Rewards provides its members with many different options to help you tap into your points so that you get the most out of your back-to-school spending! It is so easy to save money by using your RBC Rewards points. You can use your RBC Rewards points to redeem for those big-ticket items that may not seem attainable within your budget. With products from Apple, Bose and more than 50,000 other products from Best Buy alone, RBC Rewards can help you meet those back-to-school shopping needs, using points instead of dollars! And if that wasn’t amazing enough, RBC Rewards members can also redeem for gift cards from more than 60 merchants to use in-store or online. RBC Rewards always has something amazing up their sleeve for their members, and from now until August 26, 2018 they will be serving up some exciting deals to clients, including deals on the latest tech, merchandise, gift cards and more! Are you or someone you know going off to college? Well you might like to know how to avoid the FRESHMAN 15! You know what that is don’t you? If not, it is those 15 pounds most people put on during their first year of college. One way to avoid that is by being active. But, if you’re anything like me you may need some motivation, right? Did you know that you can link your RBC Rewards credit card to the Carrot Rewards app and earn RBC Rewards points just for meeting your daily step goals? Well you can, and all that walking you will do around campus can net you some serious points! PS: Like all of #RBCRewards back-to-school offers, you don’t have to actually be a student to take advantage of this. Put the fake student IDs down people. RBC Rewards gives you the flexibility and choice to redeem points at back-to-school time for whatever you want … or whatever the kids want. I love using the Carrot Rewards app to earn RBC Rewards points. They help me save money down the road on important things like back-to-school. RBC has generously sponsored an amazing giveaway for my lucky readers (that’s you – yes you too). 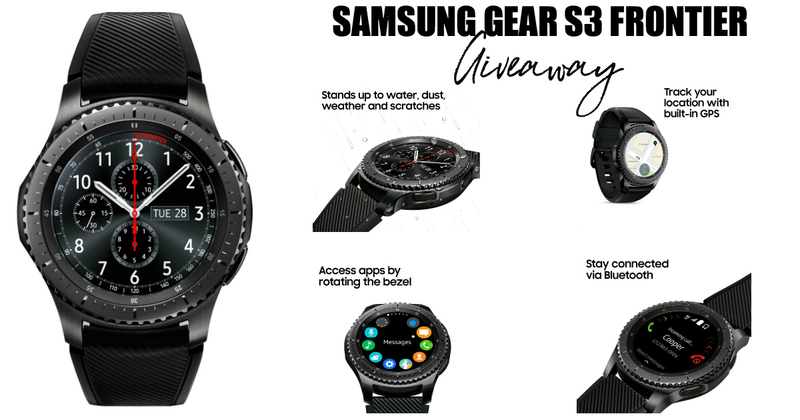 One lucky reader will win an incredible Samsung Gear S3 Smartwatch! This giveaway is open to Canadian residents (excluding Quebec – sorry) who have reached the age of majority in their province. This giveaway will close on August 26, 2018 at 11:59 PM EST. The winner will be drawn from all eligible entries and contacted via email on August 27, 2018. The winner will have 24 hours to respond to the email and claim their prize. If they fail to do so a new winner will be drawn. Disclosure: Although this post is sponsored by RBC, the opinions and language are all my own, and in no way, do they reflect RBC. Any product claim, statistic, quote or other representation about a product or service should be verified with the manufacturer, company, provider or party in question. I would love to win this! I am teaching kindergarten for the first time this year, and am super excited! I can’t wait to make new memories with my students. I am trying to minimize how much I spend on classroom items, but it is very difficult. There are so many amazing products that I want my students to enjoy! With 4 kids in school, it can get very expensive. I stay on budget by buying the essentials year round and keeping them stashed away until we need them. At Christmas time, markers and pencil crayons go on sale for less than they are during back to school time. I’ve got one child going back to school and one still at home. I save money by shopping with flyers and looking for sales! 3 kids – shopping the back to school sales early! I’m sending my six year old to grade 1 this year. I save by buying his clothes 4 months in advance! One kid into grade 4, and we stay on budget by looking for sales and deals! Just one! I stay on budget by finding comparing prices/looking at flyers for the best deals and keeping track of the receipts/money spent. I’d love to win this! Thanks for this giveaway. Only one is going back to school right now so I’m not too worried about my budget but I do keep an eye on flyers and take advantage of deals and coupons. All of these back to school posts make me nervous but also excited for my son to start kindergarten next year. We save money by looking for quality items for our kids, at a sale price. I would much rather spend a bit more on a backpack (for example) that will last a few years, than buy a cheaper one that will need to be replaced yearly. I have 1 starting school. We’ve stayed on budget with coupons and looking for sales. My eldest is going back to school. And I stay on budget by utilizing flyers and price matching. Buying clothes in advance like during the “end of summer” sales helps as well! This is the first year I’ll be sending all 3 kids to school. 2 are entering jk and 1 is entering grade 6 . I buy items on sale throughout the year and have a stash of new stuff bought last September. I have a kindergartener, thankfully he requires not to much, my biggest expense was indoor shoes. Sending 1 back this year and I stay on budget by shopping year round using coupons or price matching deals. I have 4 grandkids in school this year and shop the sales to help out my son. Have 3 grandkids, godson and a nephew going to school in September. Would be great to win for them. Thanks for all your hard work! excited for this giveaway. I’m not going back to school but looking for those money saving tips as I have a newborn at home and babies are very expensive. I am sending 1 kid to grade 1 and my twins to preschool. They should have been starting JK, but we moved and they don’t have JK in the Yukon. They are all excited to be doing something new. I stay on budget by buying items I know my kids will need when they are on sale. I also coupon, use points and cash back apps. I only have one heading back to school this year, which makes the budget stretch much further. I shop sales for supplies and reuse leftovers from previous years. My son is at that age where brand names and particular styles are extra important to him so it’s hard to save much on clothing and shoes. I have two kids starting school. I stay on budget by shopping the sales. Don’t have any kid.. but I am a kid myself lol! Definitely using all the deals i can find. I have four kids to for which to shop. I check the flyers and online prices and try to buy as much as I can on sale. I also stock up on items that we may need during the school year while the prices are low. No kids are going back to school here. We did however stay on budget by stocking up on school items when the sales started for back to school. I have two kiddos.. one starting grade 2 and the other starting JK! Awesome giveaway! I am sending two teenage boys back to school. I never stay on budget. I try to shop sales but there is always something that comes up. I am sending one teen back to school into Grade 11. I have 2 going back. I buy clothers on sale here and there and buy supplies a couple days before when they go on clearance. Hand me downs and sales! I don’t have kids but to stay on budget I would make a list and shop around for the best prices both in stores and online. 2 boys! I try to take advantage of sales! I’m sending 2 kids back to school in the fall & how I stay on budget is to space out my purchases starting in late July, then buy more in August, and continue to buy in Sept & Oct. I’ve realized they don’t need an entire new wardrobe before the first day of school, just the essentials of shoes & a few main pieces of clothing. I mix those pieces with their older clothes & get them new stuff gradually. Also thrift stores are a great place to shop. Thanks for the chance to win by the way, super awesome contest! I have 2 kids going back to school this year. We go through flyers and deals in-store and online and do up a list before heading to the store. I have one daughter going to Grade 1 this year, and the younger daughter is in daycare. I stay on budget by buying things we might need at off times when they are on sale. I got her a new backpack a month or so ago because it was half price. Got to find the deals. I don’t have any kids going to school however I have my own class of 29 kindergarten students. I have 3 back to school, I try to buy items on sale. I have 1 going into grade 2 this year. To help stay on budget we buy only what is needed with a few exceptions. I watch for sales, coupons and try to make a lot or school snacks ahead of time to freeze. Thanks! I only have the one daughter, and I keep on budget by reusing a lot of supplies from the previous year, and buying her clothes a size too big when they are on sale so there’s no mad dash in August for new school clothes. Just 1 child and I look for sales. One kid is going back to school. I save by looking for sales on school supplies! i have 1 to send back to school, he is actually in University, staying on budget is hard, as we are never sure what books he needs as well if we can get them used or not. everything seems to be last minute after registration and when classes begin. i will be sending back ome kid and how i stay on a budget is to purchase sales. im a big sale person. I’m sending 2 kids back to school. I stick to my budget by not buying things my kids don’t really need (but want). I go to thrift stores for some of their clothes and re-use what I can. We only use cash – once it runs out thats it – though we shop all year round , makes a difference. just one, we plan to reuse most things from last year, and if we need to buy something, i’ll check consignment stores. I help out with sending two grandchildren back to school. I purchase new footwear for them each year. No kids going back to school, so my budget is safe. Two boys going to school. We stay on budget by buying during sales at time of back to school. I am sending three kids back to school, one is just starting JK and the other two are already in elementary grades. Sales and point programs really help us stay on budget. I have my Daughter starting Kindergarten this fall. She picked out 2 outfits and a new pair of shoes. She will use what ever she already has for clothes no need to get much else. We just have one little guy going back to school. This year we’ll have 3 in school, next year is 4! Budgeting is tough with school fees attached but we look for sales and reuse whatever we can. I don’t have any kids going to school this year but I think trying to shop around for the best sales is important. I don’t have any kids yet. We stay in budget by price matching, shopping when items are on sale and i always look for clearance sales all year round. I have one son going back to school. We reuse what we can and shop the sales! 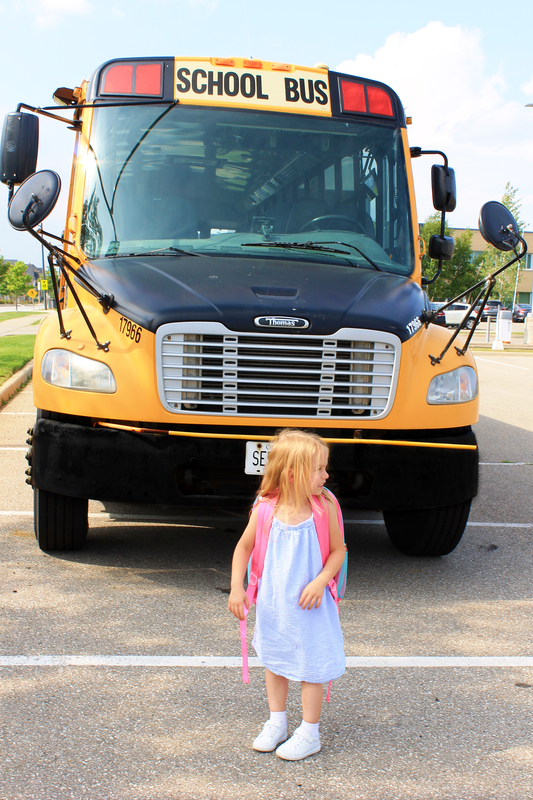 Going back to school with 1 child. I usually price match or buy the sale stuff the year before so I’m back to school ready! I am sending 2 boys back. 1 last year High school and 1 last year of university. So it is expensive!! I price match, coupon as well as enter contests to win things they would need/want as well as save any gift cards for Back to school and Holiday shopping. You do what you can. What great tips! Thanks so much for the info!